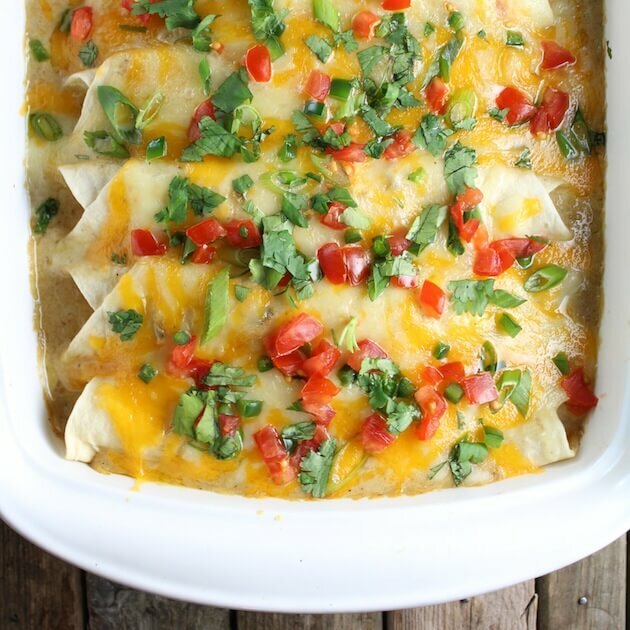 For me that “go-to recipe” would be these amazing enchiladas. 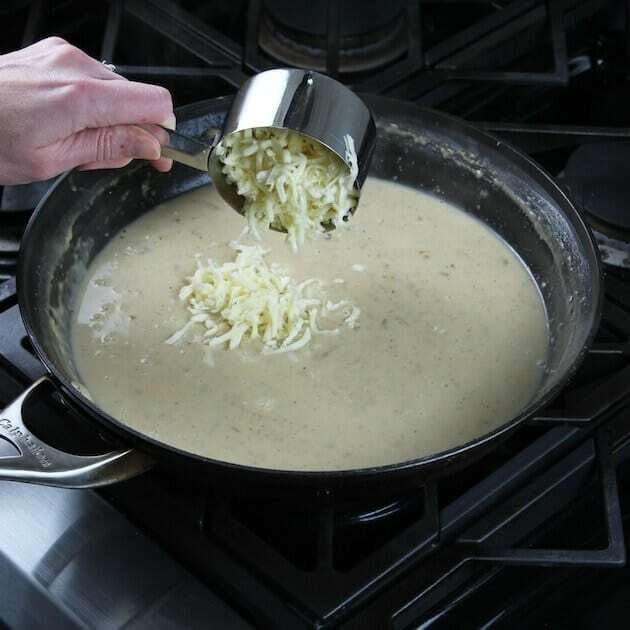 The thing that makes this recipe so special is the creamy cheesy sauce. 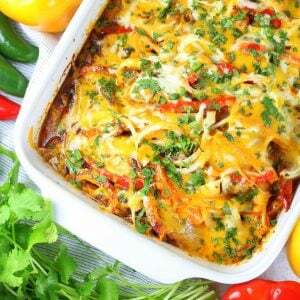 Most enchilada recipes I come across have a slightly spicy tomato-based sauce. 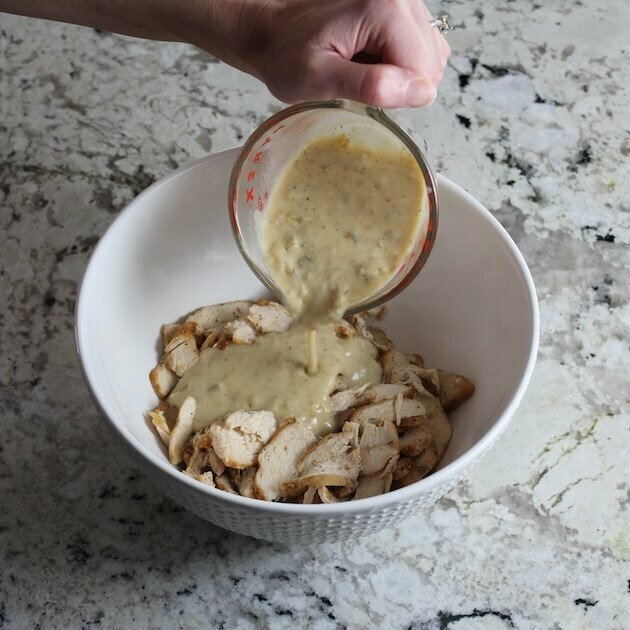 And although that is very delicious and has its place – it’s not in my Cheesy Chicken Enchilada Recipe with this decadent sour cream sauce! Drop. The. Mic. There’s just something so comforting and delicious about melted cheese. What’s not to love about it? Well there may be a few side effects that are displeasing when eaten in excessive amounts but that could be applied to most anything – right? Take coffee for instance – it’s good for you but the effects of ingesting copious amounts can be, well, unpleasant. The same thing with cucumbers – when too many are eaten you may have a Cucumber Lake situation on your hands. 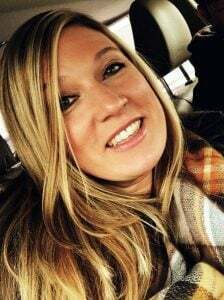 That is a story for another day (and maybe another blog) but let’s just say I’m never swimming in a certain lake near the town of Tell City, Indiana. So our big take-away is that moderation is good and should be applied in all instances of life. I know what you’re thinking…life changing revelations going on over here at Taste And See. 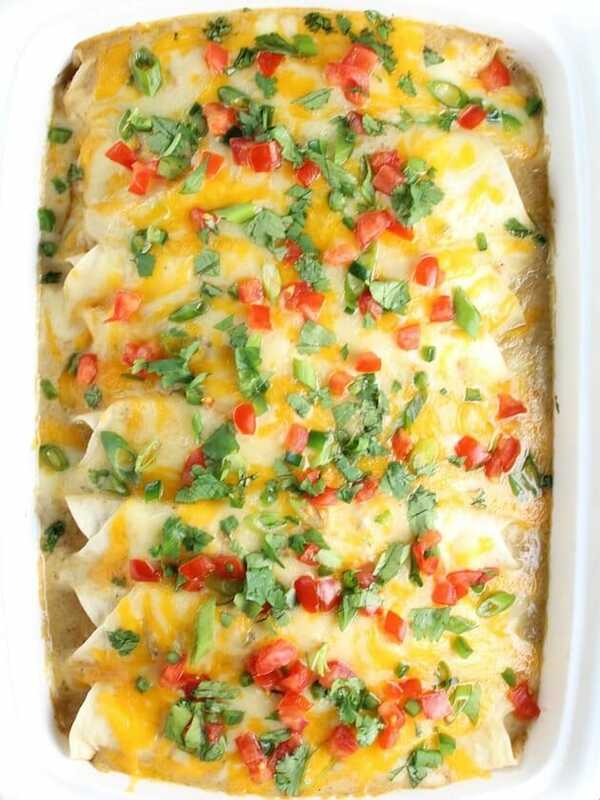 And that’s exactly what I do with these cheesy creamy heavenly Chicken Enchiladas. I “moderately” spread Monterrey Jack and cheddar cheese in and all over them!! So so tasty. The process is really quite easy. 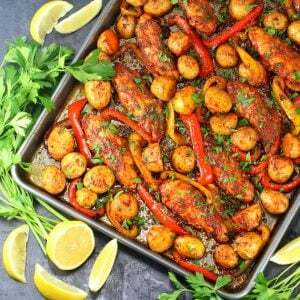 You start by grilling 3 good-sized boneless, skinless chicken breasts on a 400-450 degree grill. 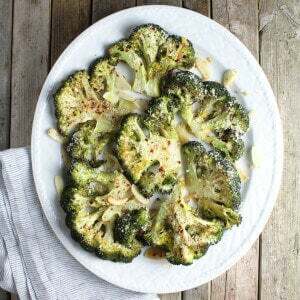 All you need is a generous amount of salt and pepper, plus a decent coating of cooking spray. You grill the chicken for 6 minutes on the first side and 5-6 on the other side. (Temp them to make sure the thickest part reads 165 degrees.) 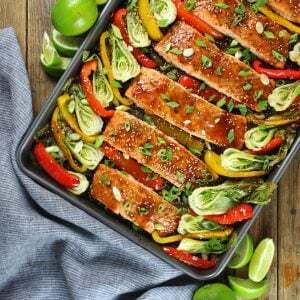 You will have yourself the most tender, juicy meat with the most beautiful seared grill marks. 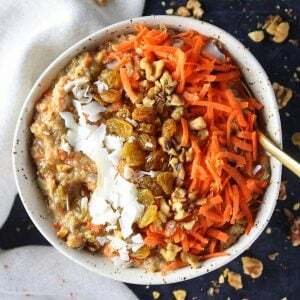 Trust me – this method is golden.? It works every time. 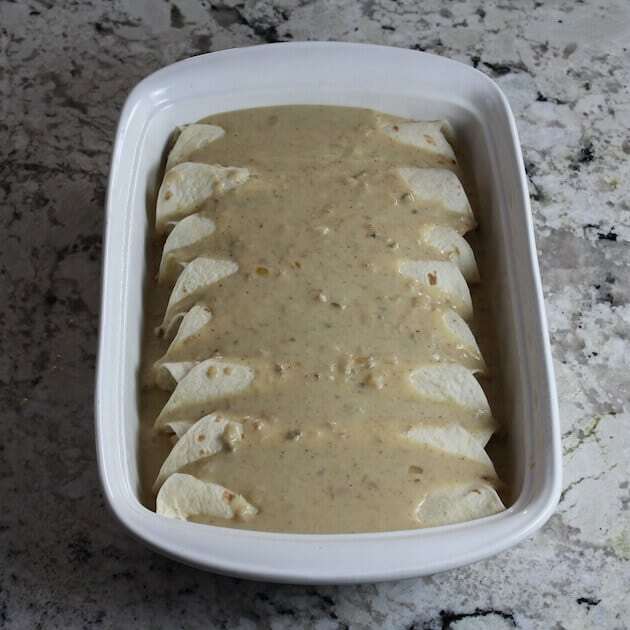 Let the chicken rest for 5-10 minutes, while prepping all your other ingredients: chopping onions, mincing garlic, measuring chicken stock, mixing some flour into your sour cream. Then the cooking begins. 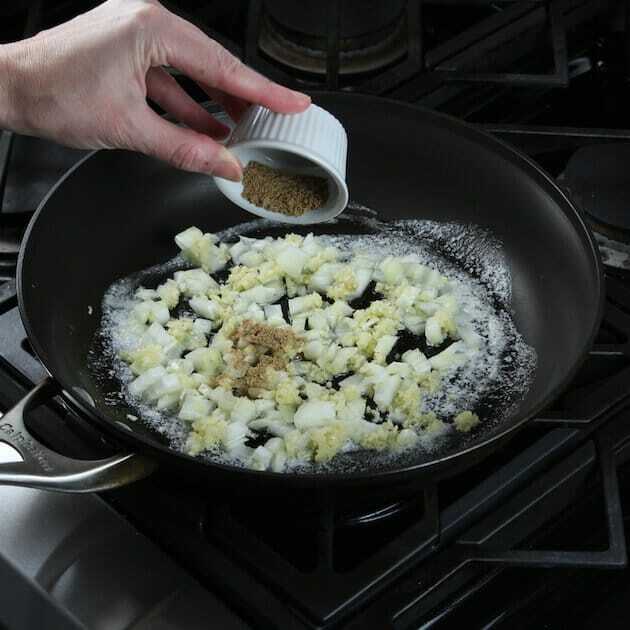 Saute your onions and garlic and in butter over medium heat for 4-5 minutes. 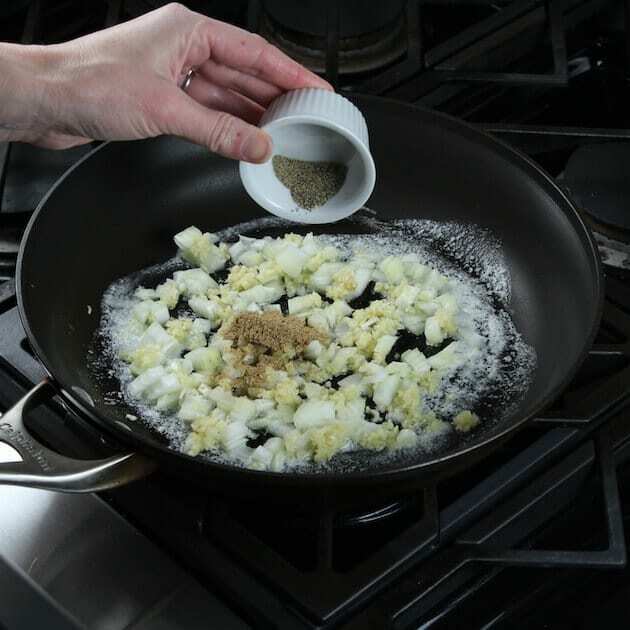 Stir in your cumin, salt and pepper and continue to cook. Next, add in the sour cream mixture and jalapeños. Cook this for a few minutes, and then stir in your chicken stock until you start to see some bubbling. 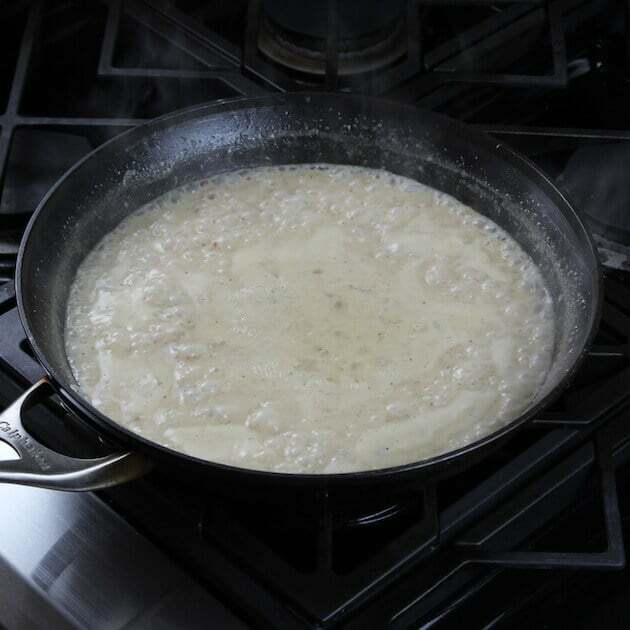 Let it cook for 10 minutes, take it off the heat, and stir in 1 cup of Monterey Jack cheese. 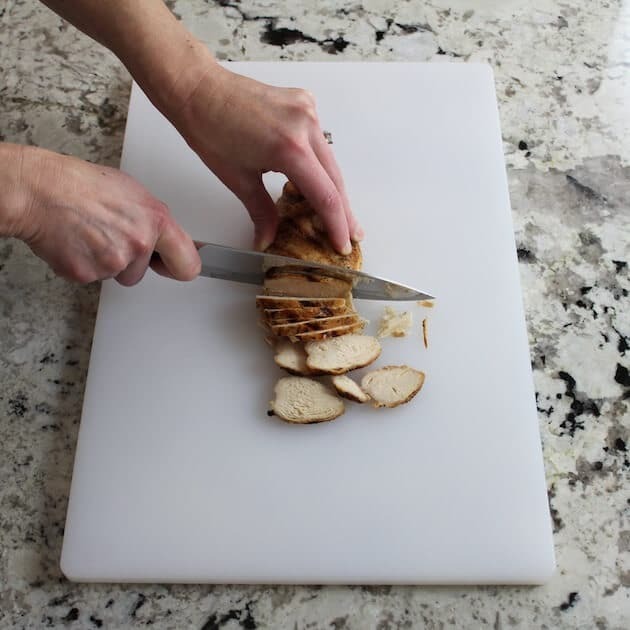 Thinly slice all your chicken breasts and place in a medium size bowl. 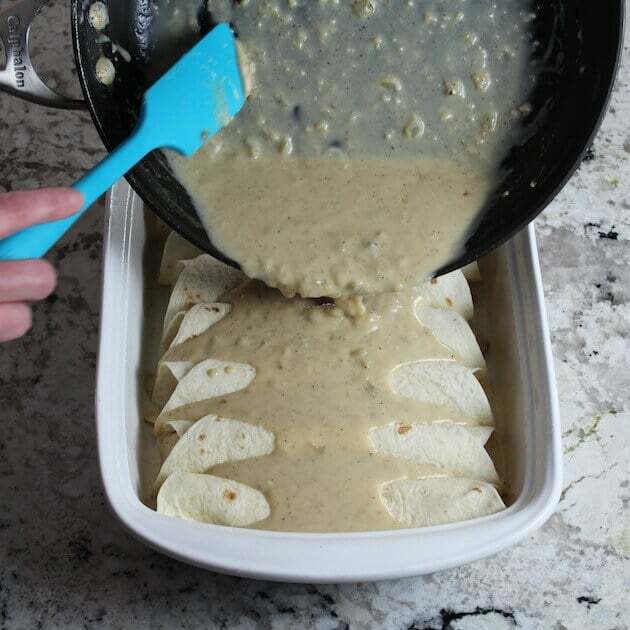 Fold 1 cup of the sauce mixture into the chicken, and start building your enchiladas. 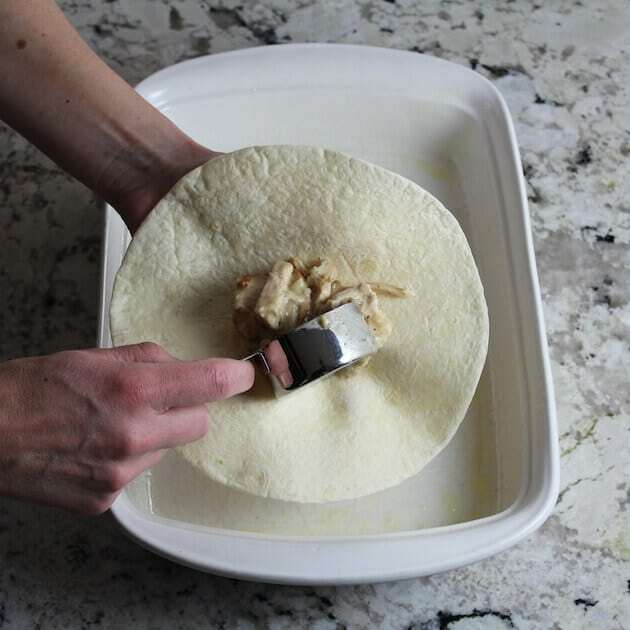 Holding a flour tortilla in one hand and a 1/3 measuring cup in the other, scoop the mixture onto the middle of the tortilla, spreading it out so you can tightly roll it up and the mixture is evenly distributed throughout the whole length of the shell. Then place it in a greased 9×13 with the seam side down so it doesn’t come open. 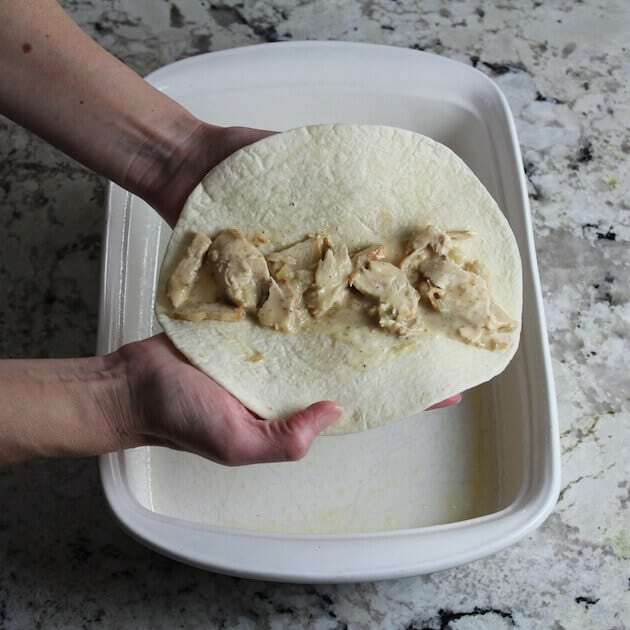 Continue this process with 7 more tortillas. 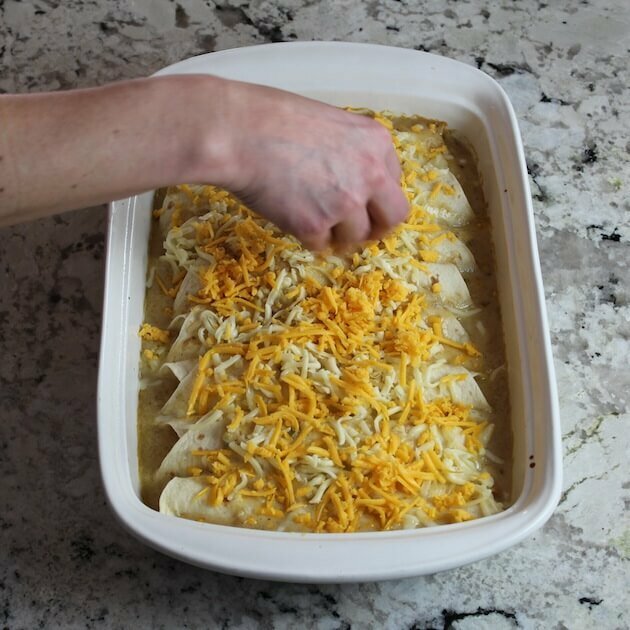 Finally, pour the rest of the cheese mixture evenly over all the enchiladas, cover with tin foil and pop them in a preheated 350 degree oven for 30 minutes. 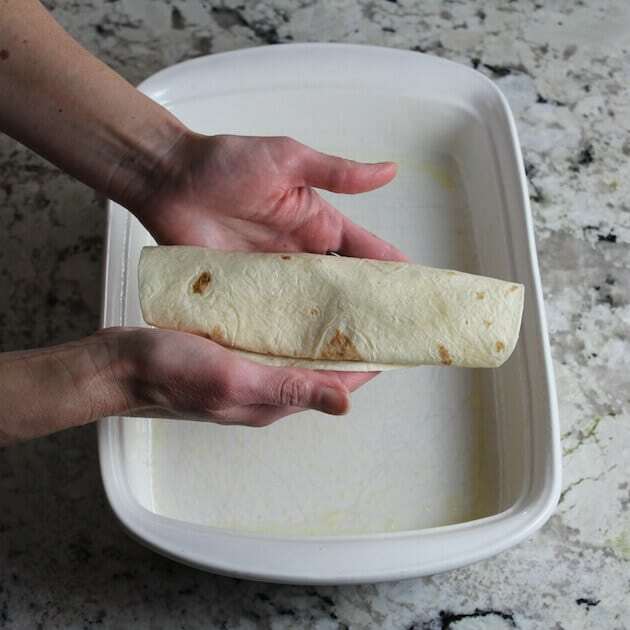 Pull it out of the hot box, take off the foil, and top it with the rest of the Monterey Jack cheese and a little cheddah, and give it 5 more minutes in the oven. 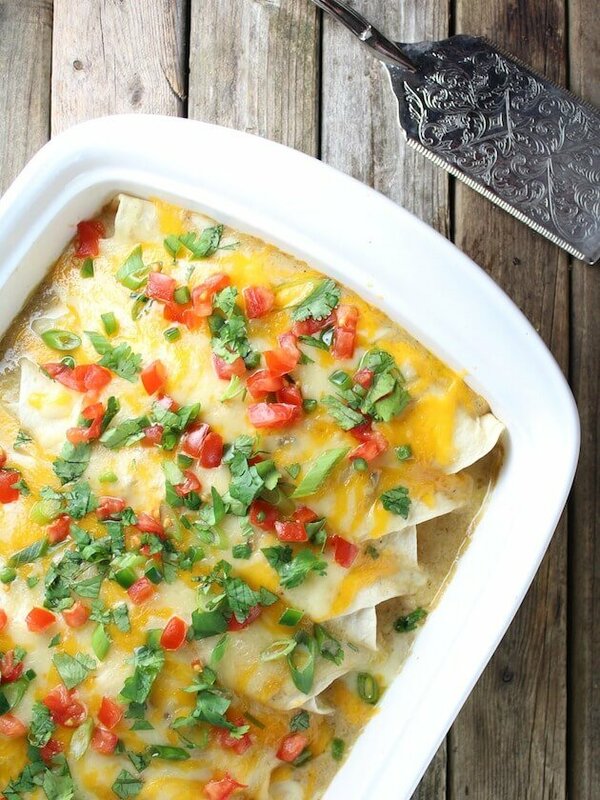 And 5 minutes later, behold your new favorite go-to Cheesy Chicken Enchiladas are almost ready to devour! Top them off with all your favorite things…green onions, diced tomatoes, chopped cilantro and chopped fresh jalapeño and dinner is served. 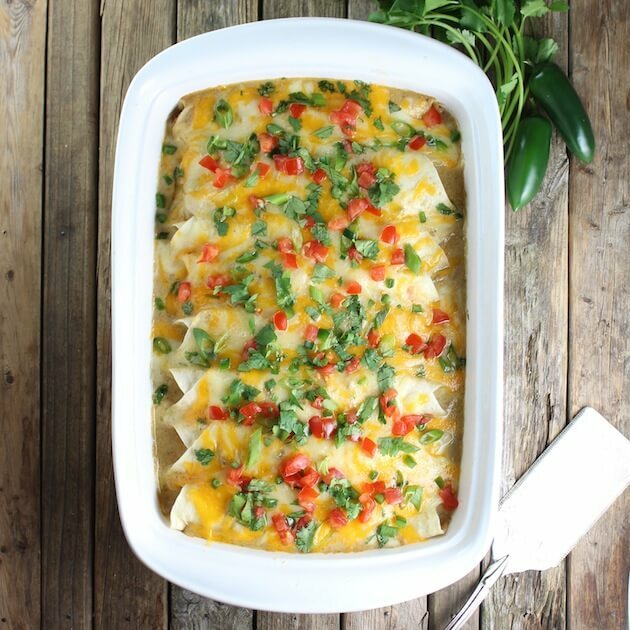 This dish is perfect to make for the family on a week night, or to serve to friends when entertaining or celebrating Cinco De Mayo, or pretty much any and every day that ends in “y.” I like to serve them with a nice icy-cold Elderflower Margarita for the ultimate fiesta grande. 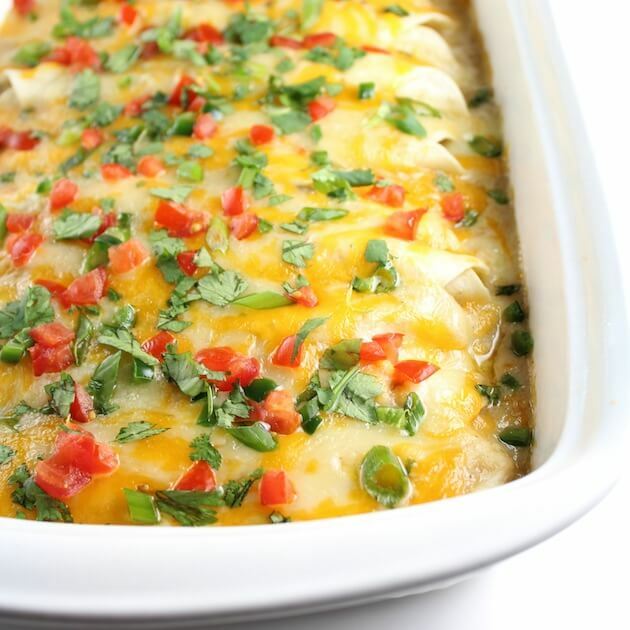 Whenever and for whoever you make them, everyone will agree that Cheesy Chicken Enchiladas are muy bueno!? 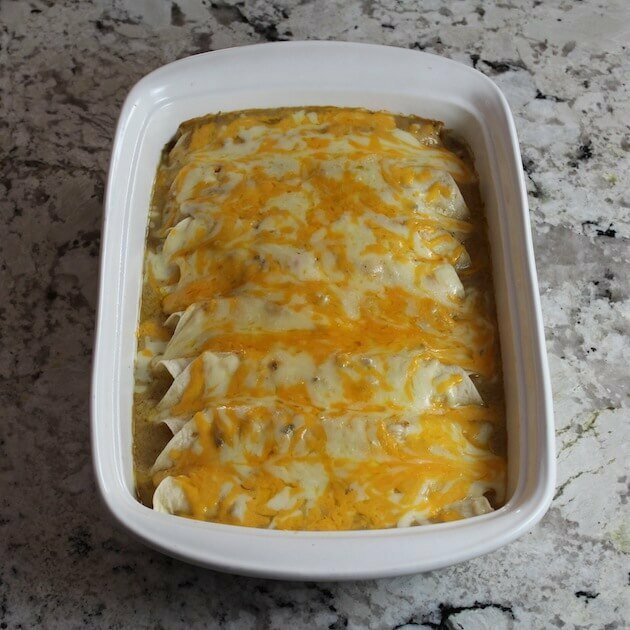 Easy Cheesy Chicken Enchiladas with sour cream sauce, jalapeños, onions, garlic, cumin, Monterey Jack, & cheddar. 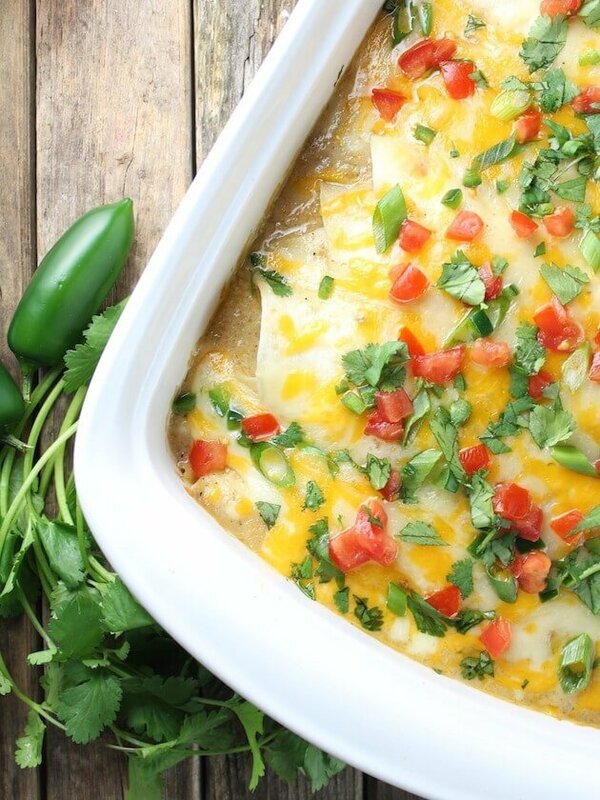 Your new favorite enchilada recipe! Melt butter in a large saucepan over medium heat. 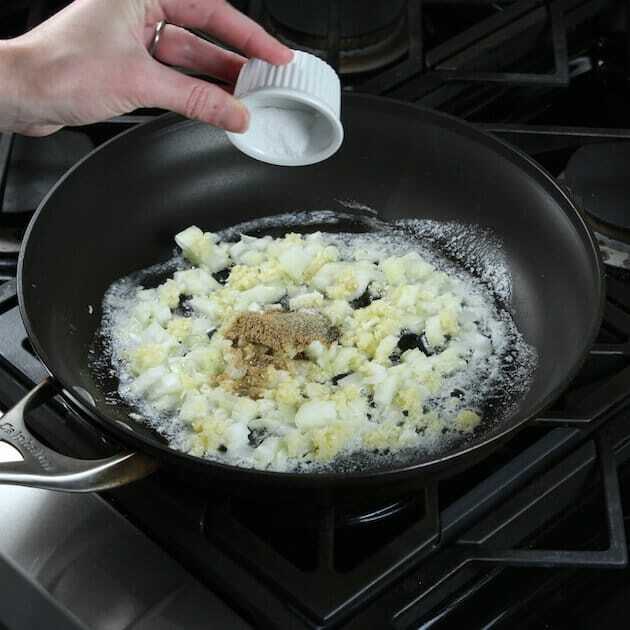 Add onion & garlic and cook for 4-5 minutes until the onion is tender, then add coriander, salt, & pepper. 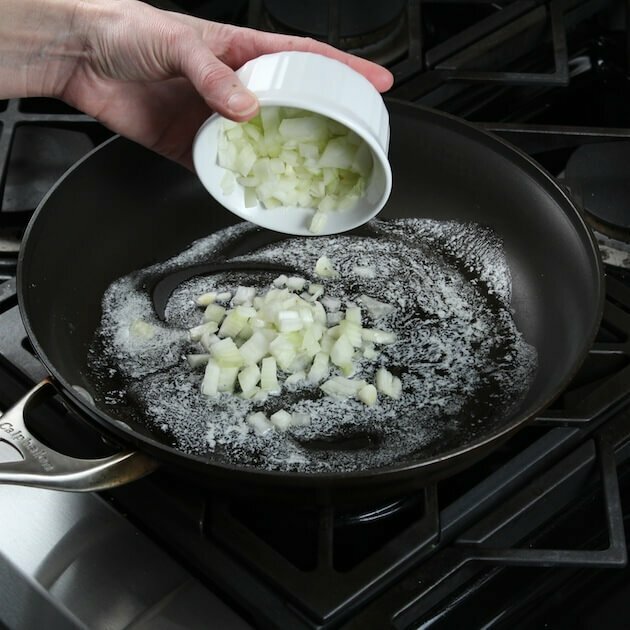 In a separate bowl, stir the flour into the sour cream and then add to the onion mixture in the pan. 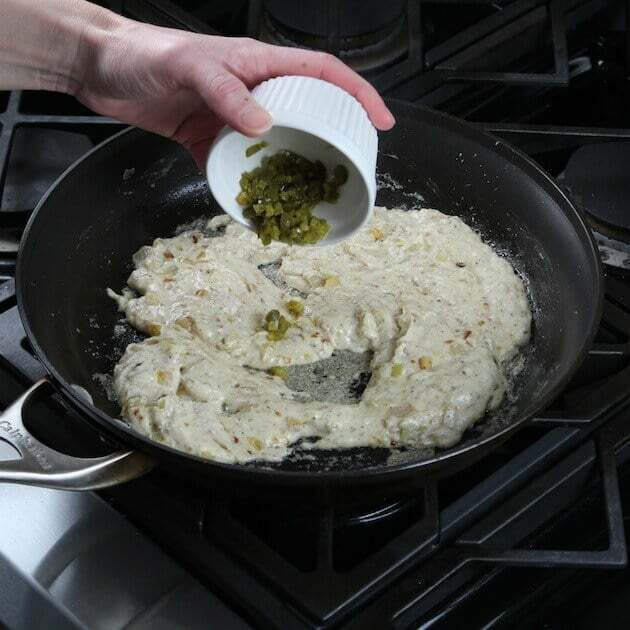 Add in the pickled jalapenos, then cook another 3 minutes over medium heat. 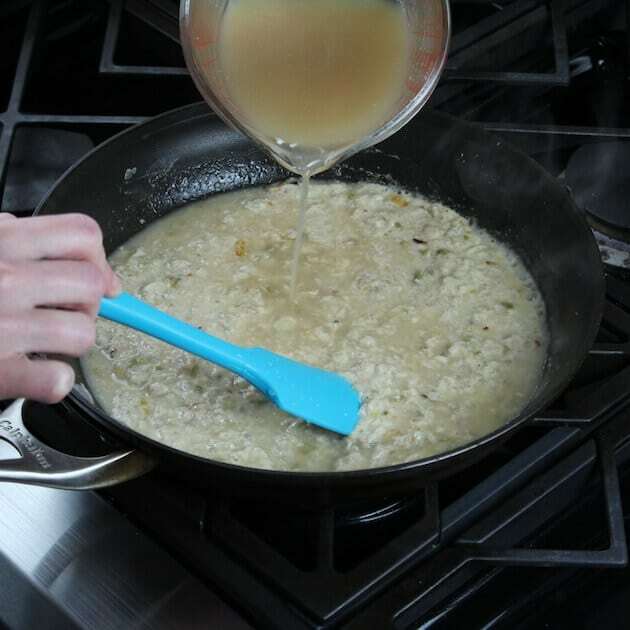 Stir in the broth and cook on high, whisking periodically until thickened and bubbly, about 3-5 minutes. 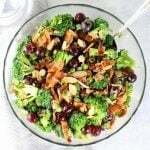 Remove from the heat and add 1 cup of Monterey Jack cheese. 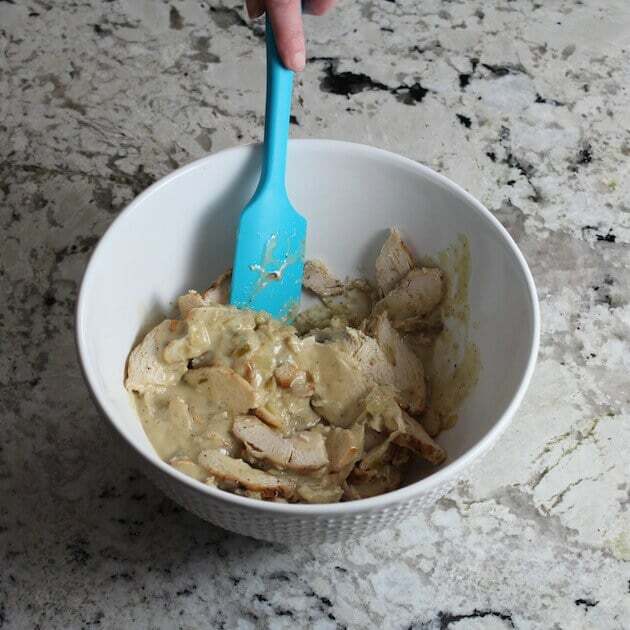 Stir 1 cup of sauce into the chicken. 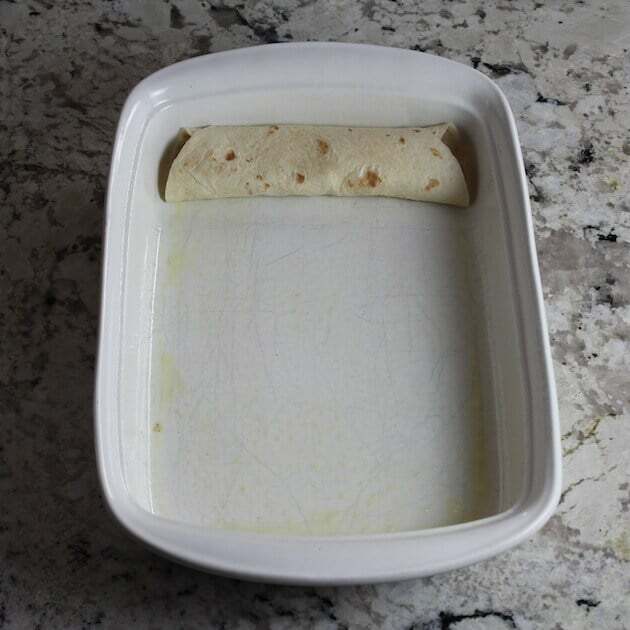 Place about 1/3 of the filling onto each tortilla, roll up and arrange seam side down in a lightly greased 13 x 9 baking dish. 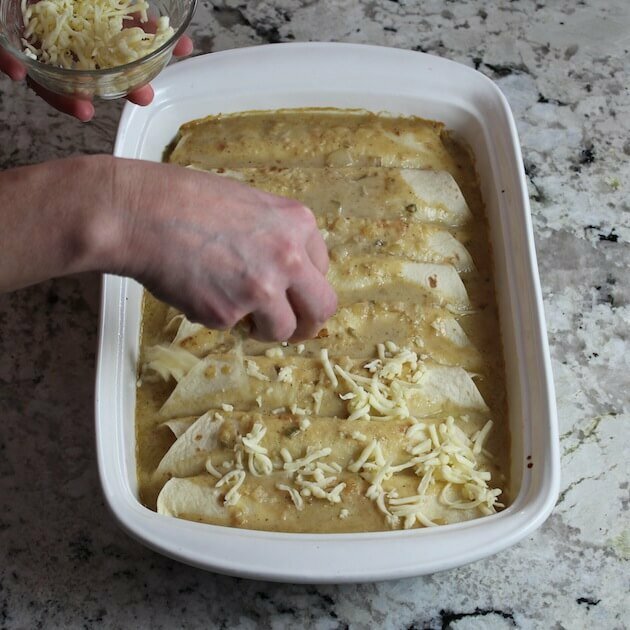 Once all enchiladas are in the dish, top them with the remaining sauce. Bake covered, in a 350 degree oven for about 35 minutes or until heated through. 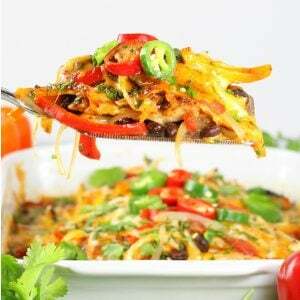 Sprinkle with remaining cheese, and if desired the chopped tomatoes and sliced green onions. Bake for 5 more minutes uncovered. These look great! Thank you also for all the step by step pictures! 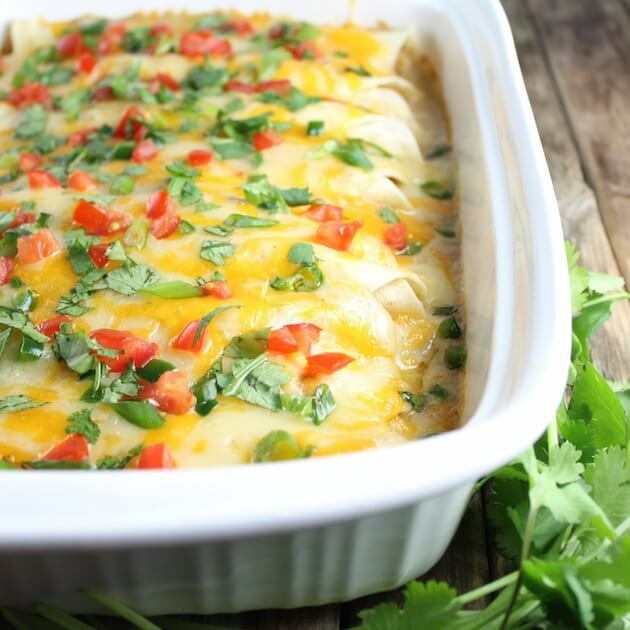 The flavor of these were fantastic but I made them and they were a bit soggy 🙁 I’m still trying to find the secret to make not soggy enchiladas. Hi Halie! 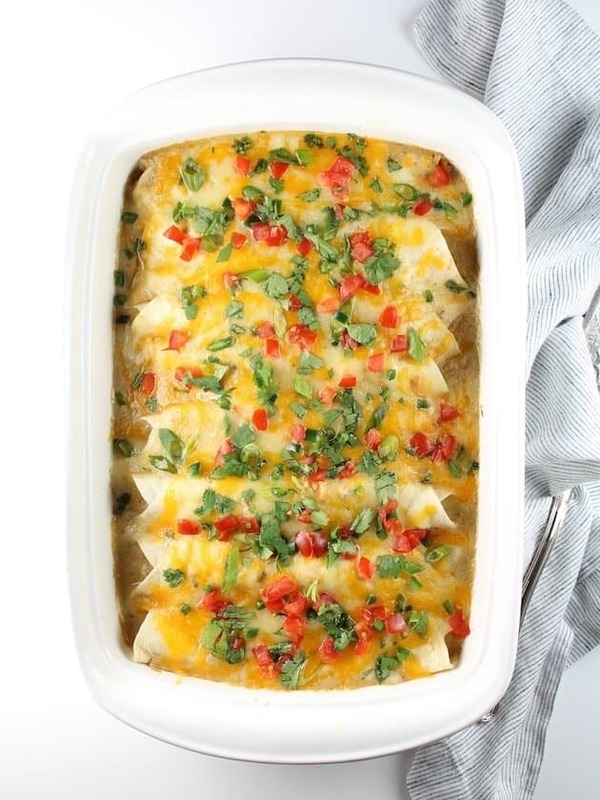 I’m so glad you enjoyed the flavor of these enchiladas! 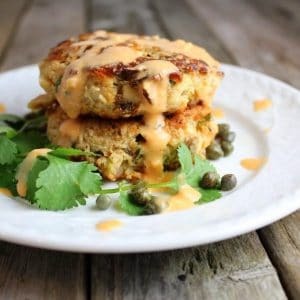 I’ve been making them for many years now and I can’t tell you how many times I’ve given out this recipe. They are always a crowd pleaser! I’ve never heard them referred to as “soggy” only moist, tender and delicious. If you think about it you’re basically adding a bunch of liquid to 8 soft doughy flour disc and then covering and steaming them for a half hour. I think it is inevitable for them to be tender and moist or even soggy. 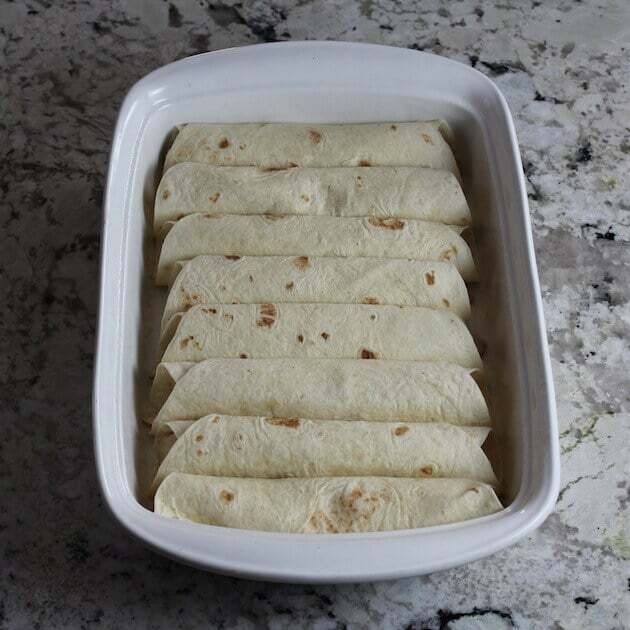 You could try using less sauce (pouring more on them when serving) and baking them uncovered but the exposed tortillas will get crispy and a bit golden in color. 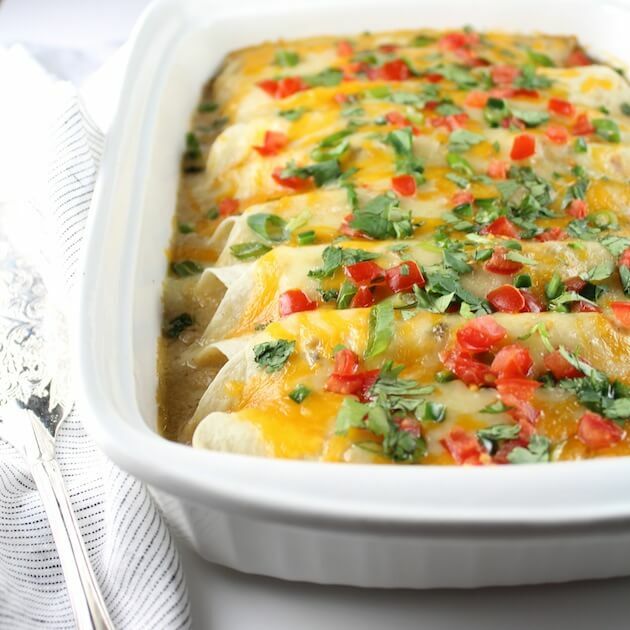 I’m wondering if you would prefer corn tortilla enchiladas better? 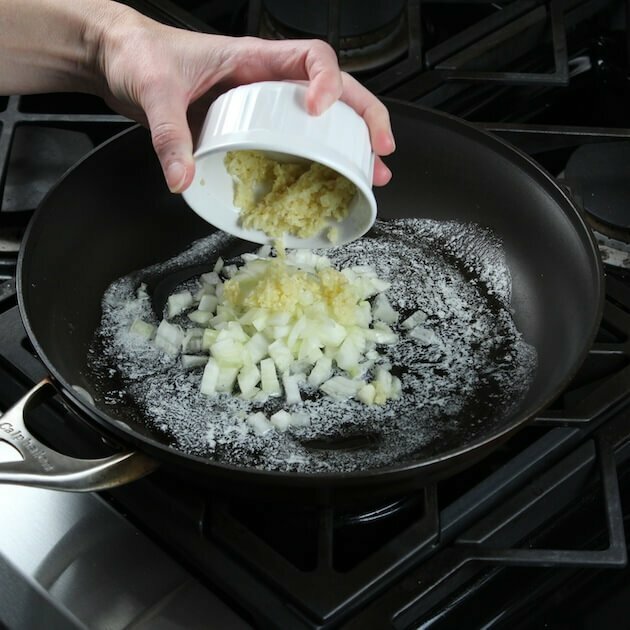 They should be prepared in the traditional way of quickly frying each side until they just start to crisp up and take on a little bit of color. 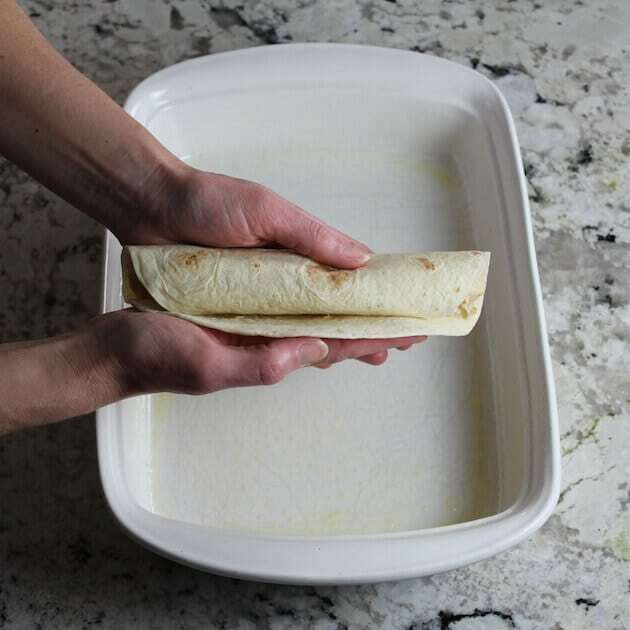 This actually creates a barrier on the surface of the tortilla that allows the tortilla to absorb some sauce—but avoid completely disintegrating and getting “soggy”. 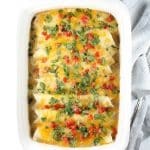 Here’s a good article from Bon Appetite on the topic…http://www.bonappetit.com/test-kitchen/cooking-tips/article/effed-it-up-enchiladas Thanks for stopping by and good luck! You totally should do that Karrie! 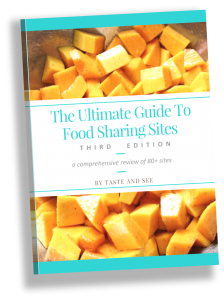 Your tummy and any other peeps that get to enjoy them will definitely thank you!? ?